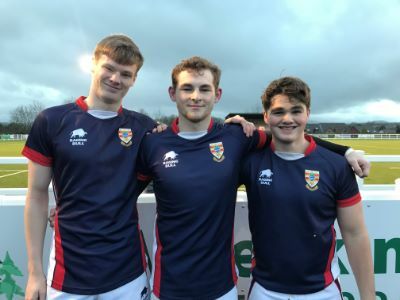 Well done to Joe Connelly, Euan Forlow and Paul Harrison who represented Cumbria recently in a county rugby match against Northumberland. Cumbria were the dominant team and won 34-10 with 2 tries from Joe - who was captain - and 1 from Paul. Great result!